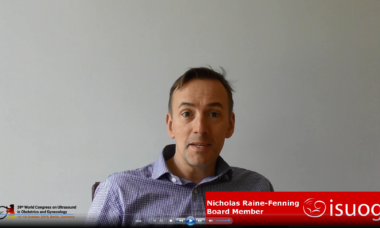 Watch this video from ISUOG Board Member on why you can't miss the ISUOG World Congress, which will take place on 12-16 October 2019 in Berlin, Germany. Register now for the 29th World Congress on Ultrasound in Obstetrics and Gynecology - the leading scientific event in the field. We’re thrilled to announce that we received over 1,440 abstracts from 72 countries submitted for the 29th World Congress on Ultrasound in Obstetrics and Gynecology! This is our highest ever number of abstract submissions for an ISUOG World Congress. We're looking forward to seeing your research at our Berlin World Congress! 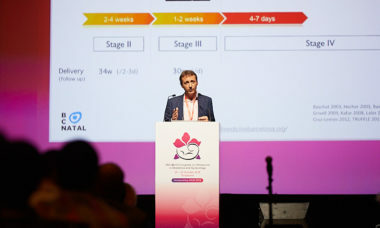 ISUOG Education Committee Chair and Board Member Prof. Jon Hyett explains why you can’t miss the upcoming ‘First Trimester’ course, taking place on 4-5 May 2019. This course is available to live stream from a location that suits you. Join Dr Simon Meagher, Prof. Hyett and more experts - find out more and register now. 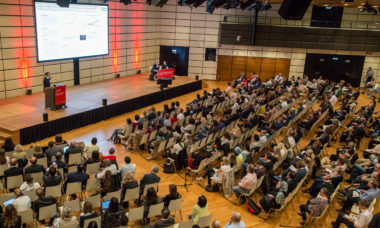 Are you joining us at ISUOG Fetal Anomalies 2019? This course has been awarded 15 European CME credits (ECMEC) by the European Accreditation Council for Continuing Medical Education. Attend onsite in Athens or via live stream from a location that suits you. You’ll still be eligible for the CME points if you live stream the course at the time of the event. Find out more and register now! 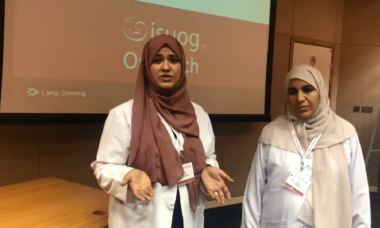 ISUOG’s vision is that every woman in the world has access to ultrasound, that every scan provider is competent and that the diagnosis of obstetric and gynecologic conditions is effective so that women’s health outcomes improve all around the world. We do this through dissemination our online educational materials, research from UOG, free-access guidelines (available in 17 different languages) and other clinical resources, Basic Training program, free trainee membership, and sharing knowledge at our events and approved courses. Furthermore, ISUOG's Outreach program provides access to hands-on training in ultrasound, supported by essential theoretical knowledge, in underserved regions of the world. You can support outreach by donating today, or get involved by volunteering. 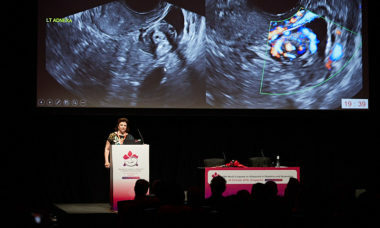 3 DAYS LEFT TO SUBMIT YOUR ABSTRACT FOR ISUOG2019! If you would like your abstract to be considered for inclusion in the scientific program for the 29th World Congress on Ultrasound in Obstetrics and Gynecology, you must do so by midnight UK time 8th April. All presenting authors must be registered and paid by this date in order for their work to be considered. Travel Grants are available. We look forward to receiving your contributions! ISUOG2018 lectures are now available to all ISUOG members On Demand! 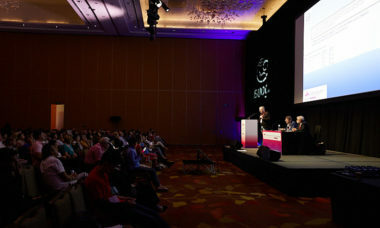 Lectures from ISUOG's Singapore World Congress are now available to all ISUOG members. 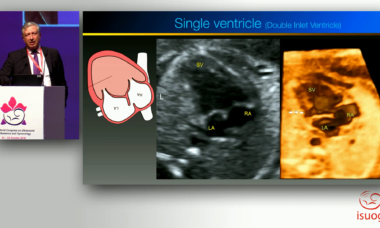 Login to your ISUOG membership to start watching state-of-the-art presentations from leading experts such as Prof. Rabih Chaoui, Prof. Daniela Prayer, Prof. Kurt Hecher, Prof. Hans Peter Dietz, Dr Simon Meagher, Prof. Daniela Fischerova and more. On Demand is an exclusive ISUOG membership benefit, and you can join ISUOG online today to gain access. 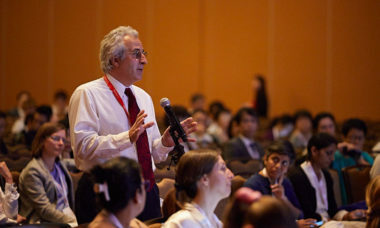 Share your work with the world at #ISUOG2019! You have ONE WEEK LEFT to submit your abstract for our 2019 World Congress in Berlin. The abstract submission deadline is midnight on 8 April 2019, and all presenting authors must be registered and paid by this date in order for their work to be considered. Travel Grants are available. 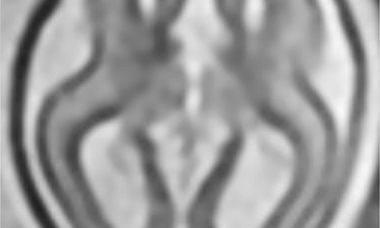 10 days to go until the ISUOG 2019 abstract submission deadline! If you want your paper to be considered for the scientific program for our Berlin World Congress, submit your abstract before midnight on 8 April 2019. All presenting authors must be registered and paid by this date in order for their work to be considered. Travel Grants are available.